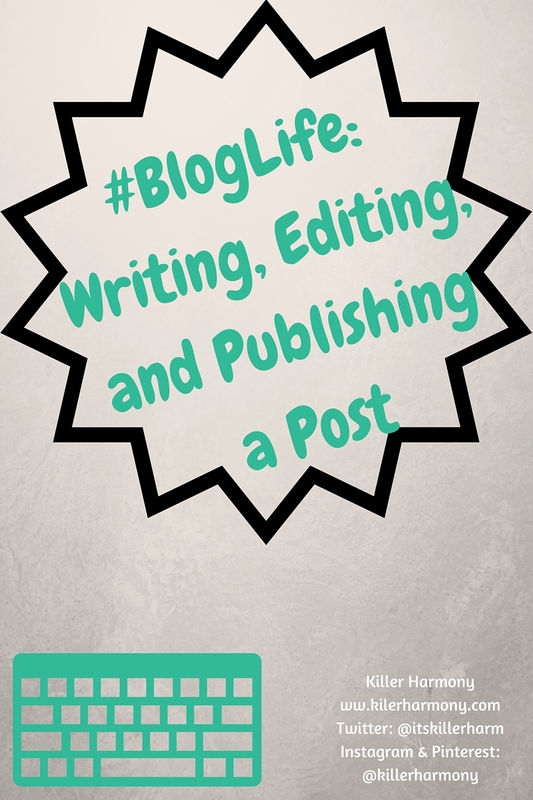 Welcome to the second installment in my first ever series about blogging! If you have not read the first post about what you should do when you set up your blog, you should check it out! This post will cover everything you need to know about writing a good quality blog post. Yes, I used the Oxford comma, and no, I won’t judge you if you don’t use it. Anyway, here I am going to tell you how I go about writing and crafting a post before I hit publish, or schedule, since I often pre write my content. Writing a blog post is a lot different than the writing you do in English class. It should feel a lot more like a conversation. You are, most likely, not writing an essay. If you have ever watched people on YouTube, you may know that they are very conversational in their speech. They may have written a script or an outline, but they form their sentences as if they were speaking to a friend. That is what most bloggers tend to do, too. One thing I like about blogging is that you don’t have to write an entire post in one sitting. If I only have a couple of minutes, then I will write a couple of sentences to get the post going. If I am continuing with a post, I will read the most recent section and, again, write however much I can. I try to write when I have more time, though, because it is easier to get a better flow in my post if it was mostly written in one sitting. When I edit a post, I proofread it to make sure there are no spelling or grammar mistakes, you know, the usual stuff. This is probably as close as blog writing gets to academic writing. You want to come off as professional, so you don’t want to have a ton of errors scattered throughout your blog. I try an fix as much of this as I can when I am actually writing the blog post, but I make sure to do a final check by previewing the post. Previewing is a great way to see what a particular post will look like on your blog. It also can show you what each word and sentence will look like. The editing stage is where I add any pictures or other media that will be going into the post. Some blogs that are more visually-focused rather than writing-focused will do their pictures first. Since most of my posts don’t have too many pictures, I will add them after the post is written. In both WordPress and Blogger (I have not worked with any other blogging platforms), you have two options when it comes to publishing your blog post. You can do it automatically, which means that your post will go up as soon as you hit publish, or you can schedule it to go up sometime later that day or even days or weeks later. I prefer to schedule posts rather than publish them immediately. This is because I often have times where I can afford to write multiple posts in one day and then there are times when I am too busy with school to even think about my blog. If you don’t know, music majors have a pretty tough schedule during the semester. I may only have fifteen credits, but that doesn’t even begin to cover the time I spend in rehearsals for different ensembles or individual practice. I hope you found this post interesting, and maybe you learned a little something. 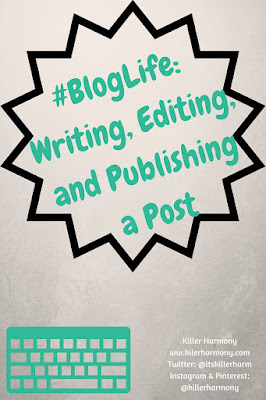 Next week I will be writing about blogging on WordPress versus blogging using Blogger. Sneak peek: I prefer Blogger.